Gajil Redfox, from the Fairy Tail franchise. 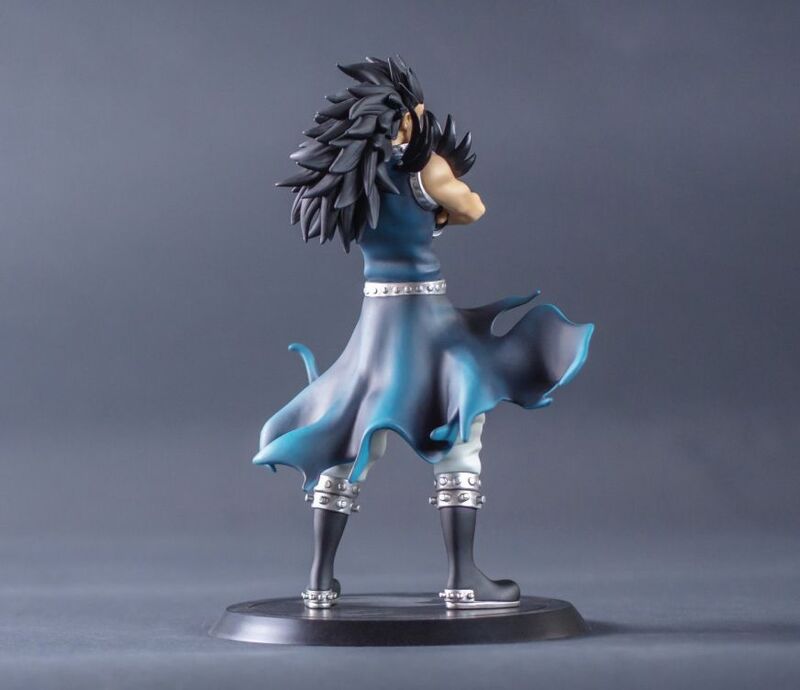 One figure Gajil, its base in a window box. So as Natsu, Gajil is a dragon hunter. He has been raised by Metalicana, an Iron Dragon who taught him everything he actually knows. Since the dragon mysteriously disappeared the same day as Ignir (7/7/777), Gajil is also looking for his mentor all around the world. Thus, he entered the Phantom Lord's guild. When his guild was defeated by Fairy Tail, he became member of this one. 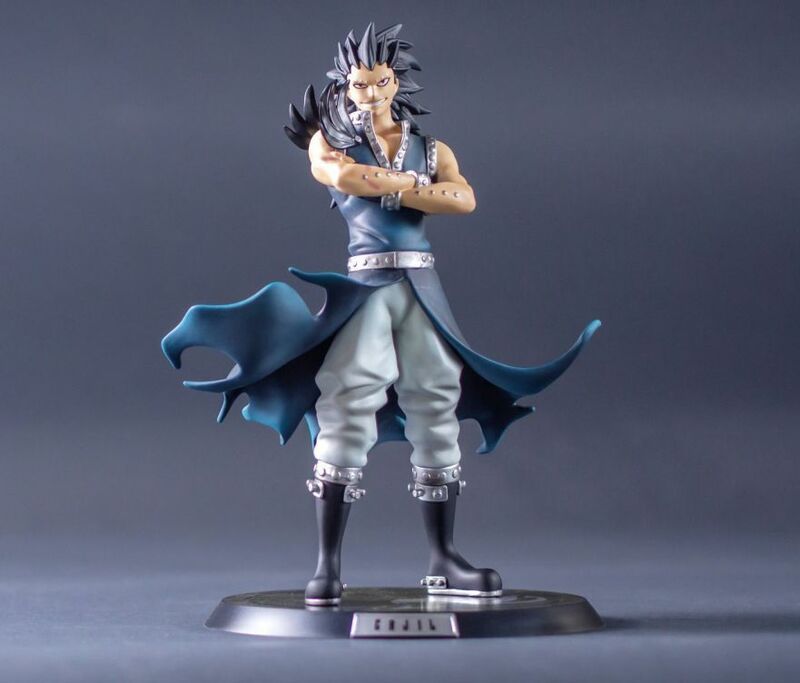 Gajil is standing, both his arms crossed over his torso. His face is wearing his usual snarl of scornful and confident. His scars are testimony of his numerous fights and his piercings all over his body are the mark of him being an Iron Dragon Hunter. This figure, with the one of Natsu, is the opening duo of our new collection of High Quality Figures in PVC: HQF. 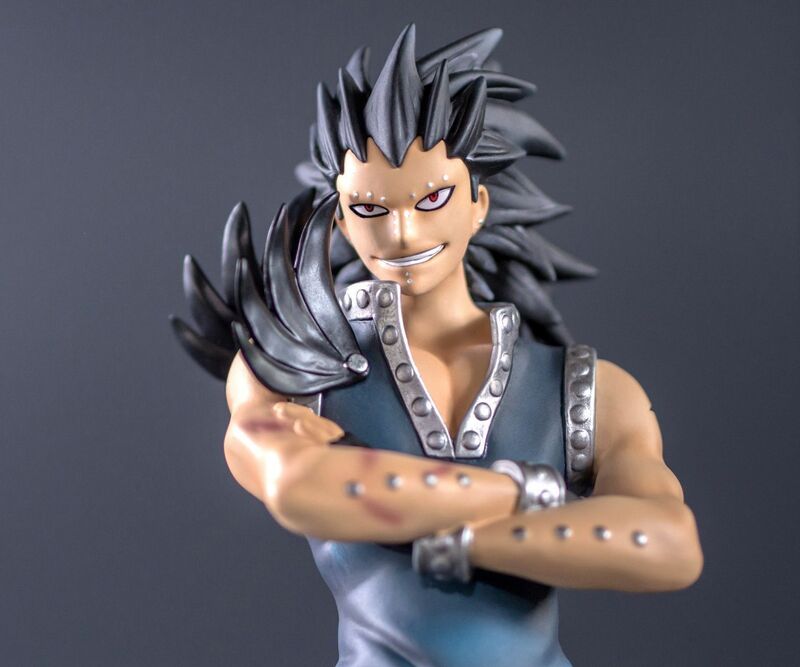 Gajil's sculpt is full of details and the character is standing with charisma. The whole is emphazised by a full range of textures and paintings. 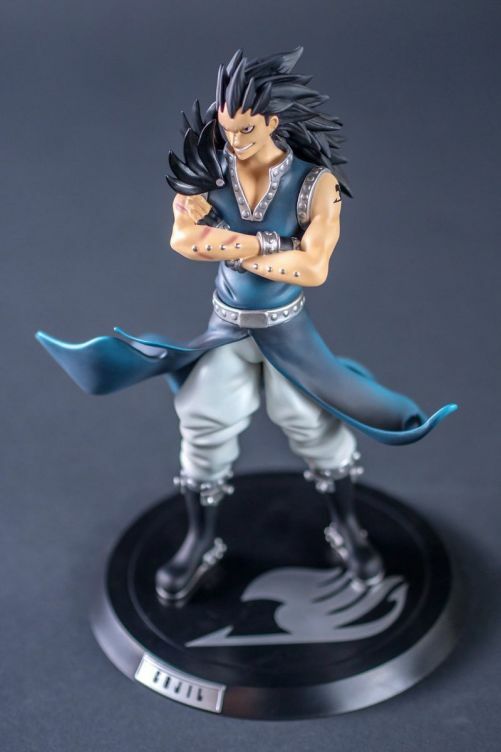 By alterning glossy and mate, skin or metallic effects, and even Gajil's complexe haircut, this figure is a high end piece of work whichi will make the most demanding amateurs. 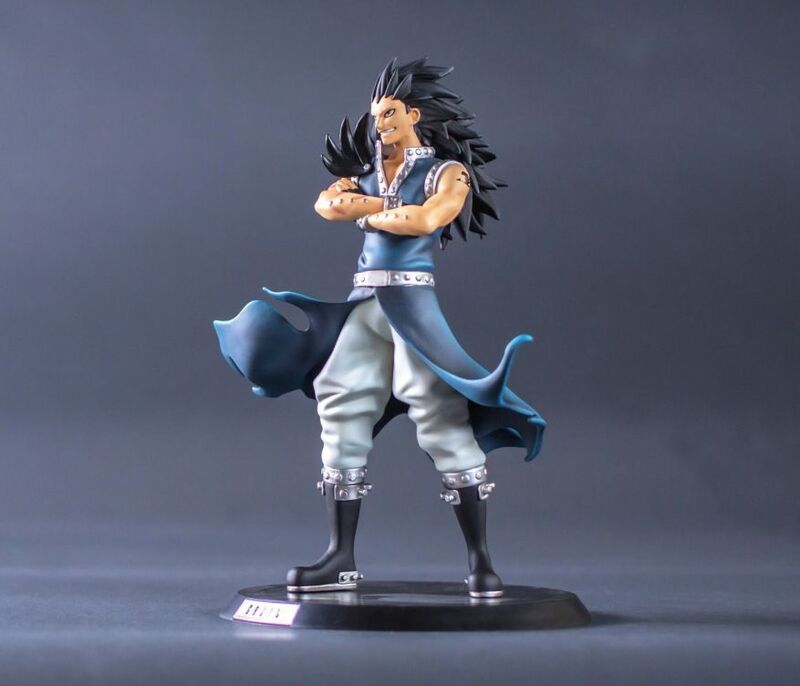 Each of our HQF by Tsume figures are displayed on a black base and a plate with the character's name written. Moreover, each base has a sticker with the symbol of the character's guild.